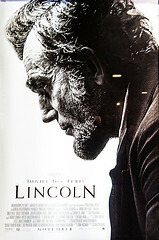 Every school child with enough smarts and curiosity to get beyond the latest video game of “Call of Duty” ought to go see “Lincoln,” the movie, and check out the references and his own attention span. 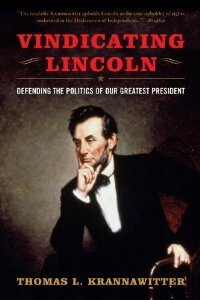 It requires patience, but it shows through dramatic action how a self-taught rustic from the deep backwoods had the emotional and intellectual discipline to overcome poverty and grow up to be a president to rank among the greatest. The most poignant evocation of war shows Lincoln riding through a field of ripped and rotting corpses, and Lincoln takes off his stovepipe hat in homage to the dead, North and South and Americans all. This is not a hymn to “arms and the man” so much as a long mournful dirge played on the strings of banjos, fiddles and the keys of a parlor piano. It’s as gritty and earthbound as the America of Mark Twain. Having lived long, I have experienced many instances of being obliged, by better information, or fuller consideration, to change opinions even on important subjects, which I once thought right, but found to be otherwise. And so the first thing Professor Krannawitter does is dip into the increasingly large well of those critiques first, to explore the charges at length, and then attempt to respond in Lincoln’s favor. 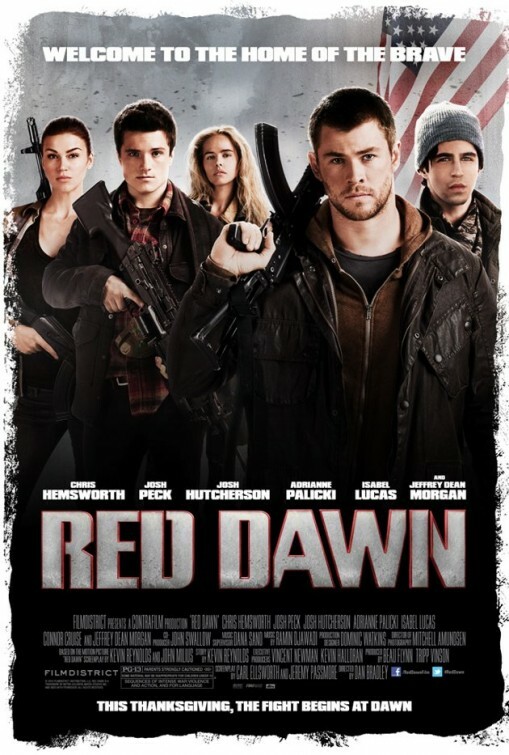 My editor at The New American asked me to go see Red Dawn (2012) and do a review of it for TNA’s online blog. That’s like getting paid to eat ice cream! So I went to the theatre with my daughter yesterday before the Thanksgiving Day festivities began at our home, and I thought I’d share some initial thoughts about the movie. There’ll be a more serious review that will appear here later in the day, but for now, here are some of my initial impressions. When the attack began, it didn’t make much sense. I’ve always enjoyed the James Bond movies because, at least in the early iterations the story line was believable. It teetered often on the far edge of credibility but there was always enough logic to it take make sense. When the attacks began the movie reached the edge of credibity…and then jumped off into space. It became almost silly: the North Koreans are attacking us! What? Who? How? Why? There were hundreds of bombers in the air dropping parachutists onto Seattle. They looked like World War II bombers. Where did they come from? North Korea? A country that can’t afford to feed it’s people or turn on the lights at night has mounted a full-scale attack on America’s west coast? Come on, now! Really? Let’s get real, as the kids say. Did these fly over from NK across the Pacific? Where are they going to land? Where was their staging point? You get the idea. It took awhile for this incongruity to wear off. But once I got past that, the movie took on some very real and resonant meaning. And it raised a number of questions. How prepared are we (as citizens) to resist and repel such an attack? Answer: not very. The brothers had a cabin in the mountains where they had stashed some provisions and weapons. How many people have done that, I wonder? Not many, I bet. The story line was very close to the original Red Dawn, and there were lots of other questions raised. There were some pieces missing, too, but in all it was an enjoyable and thought-provoking experience. My daughter enjoyed it as well – she called it “intense” and said later that her stomach hurt from holding her breath for 90 minutes! It was $13 well spent. 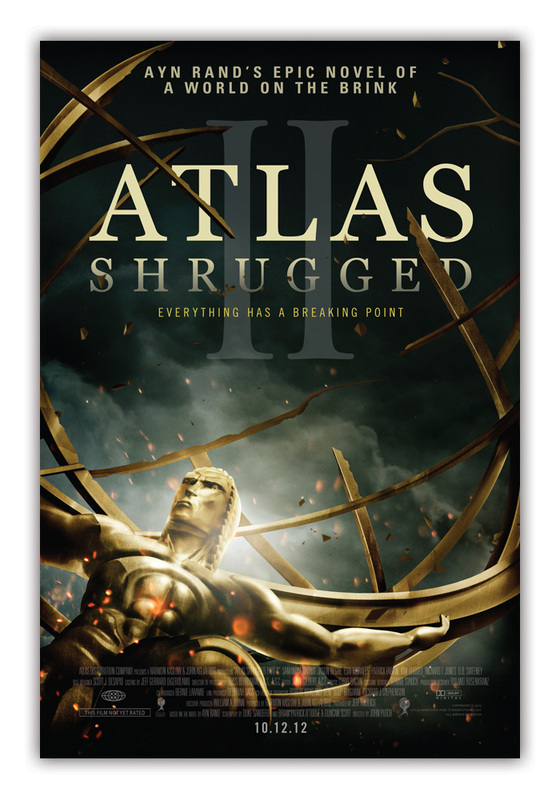 Part 2 of the trilogy of Ayn Rand’s Atlas Shrugged was, by turns, eerie, chilling, disappointing and affirming. With twice the budget of Part 1 it is broader in scope with a closer adherence to Ayn Rand’s original novel. With a new cast, many had high expectations. 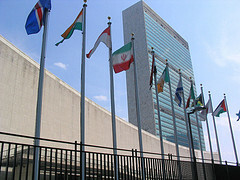 In some respects it succeeded, in others it was a dismal failure. Opening like a James Bond thriller, Dagny Taggart (Samantha Mathis) is driving her private jet at maximum velocity in an attempt to catch another pilot over the Colorado mountains. She cries out in exasperation the theme that appears throughout the movie: “Who is John Galt?” The implication is that the other pilot has the answer. The film flashes back to her frustration nine months earlier when she is unable to learn who the inventor is of an energy generator that operates on static electricity – developing essentially free energy with no pollution. The story line is simplicity itself: creative entrepreneurs are deemed to be enemies of the state and their capital (including their patents, ideas and inventions) must be forcibly relinquished – “gifted” in the movie – to the state, all in the name of egalitarianism. 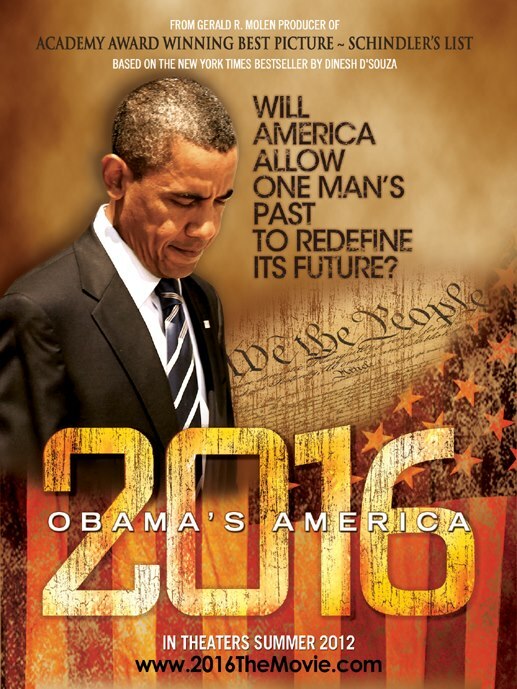 Don’t Bother Seeing 2016: Obama’s America? I lost an hour and a half of my life Sunday at a matinee showing of the sleeper-hit documentary “2016: Obama’s America.” But I kept the stub for tax purposes, and you get to read this column. With luck, we’ll both end up just slightly worse off for the experience. Gene Healy is a VP at Cato, one of my favorite think tanks, but I think he has successfully missed the main point of the movie: Obama is a mystery, and D’Souza is trying to figure it out. D’Souza, “2016’s” narrator, stresses his commonalities with the president: born the same year, both with third-world parentage, both steeped in an anticolonial tradition. “I get it,” D’Souza assures us, which is why he alone has the secret decoder ring that can explain Obama’s positions on the war on terror, Israel, the Falkland Islands and much else besides. Then there was the health care bill” D’Souza segues. But who needs a decoder ring to explain why, like every Democratic president of the post-WWII era save Jimmy Carter, Barack Obama pushed for universal health insurance? Does “anticolonialism” explain Obama’s embrace of a plan cooked up in a conservative think tank and first implemented by his 2012 Republican opponent? It deeply offends me to read reviews labeling me and my fellow filmmakers as racists or bigots or comparing us to Nazis. Their obvious hatred and bias seemingly overwhelms their ability to write a negative review without resorting to the lowest of degrading observations. Molen is the producer of the film “2016 Obama’s America” which is making the rounds across the country, and is beginning to catch the attention of the left. 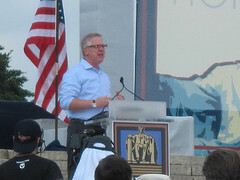 Molen has produced five films with Steven Spielberg, including “Schindler’s List.” He is no lightweight or late-comer. And yet he is offended, which indicates that he, even now, doesn’t understand the enemy bent on destroying the country. That enemy, and the mouthpieces and useful idiots enlisted in the cause, have no interest whatever in being “fair” or “objective” or “transparent.” Their goal is to besmirch the man, and thus his movie, so that the average Joe decides not to see it. And that’s the point. I’m very familiar with this tactic. When I joined the John Birch Society back in 1967 I had to work my way past the attacks on the JBS which was accused of being filled with “racists,” “haters,” “Nazis” and “anti-Semites.” The attackers, I soon found out, had no interest in the facts. One fact in particular stands out: the JBS had a Jew on its board of directors, and friendly relations with the Jewish community in general. But I found that iterating that provable fact meant nothing to the society’s detractors. It raises the question “why are some on the left of the political spectrum so indoctrinated by their masters that they lose all sense of decency and/or intelligent reasoning?” This is such a loss for journalism. Mr. Molen, sir, it has nothing to do with decency or reasoning. It has to do with the war we are involved in. It does no good to blame these attacks on lack of good judgment or loss of journalistic ethics. It has to do with tactics of war: if it works, do more of it.